Plant containment is intended to prevent any potential release of a genetically modified plant or associated organism. The movement, use, possession or release of exotic or potentially harmful plant-associated arthropods, biological control agents, plant pests, plant pathogens, noxious weeds and invasive plants are regulated by local, state, and federal agencies. Transgenic plants are plants that have been genetically engineered or modified using recombinant DNA to create plants with new characteristics. The NIH Guidelines for Research Involving Recombinant DNA Molecules cover all research with genetically engineered plants and their associated microbes and macroorganisms (arthropods and nematodes). Biological Use Authorization is required for all experiments using genetically modified plant materials or associated organisms. Sections III-D-5 and III-E-2 of the NIH Guidelines describes experiments involving whole plants. Permits from the Animal and Plant Health Inspection Service of the U.S. Department of Agriculture (USDA-APHIS or APHIS) may also be required. APHIS issues permits for genetically engineered organisms that pose a plant pest risk, including plants, insects or microorganisms. Inquire with APHIS to determine if a permit is required. There are four biosafety levels and associated practices for plant research. Only BL1-P and BL2-P research is conducted at the UW. There are no BL3-P or BL4-P experiments at the UW. For detailed information, see Appendix P of the NIH Guidelines. BL1-P is recommended for transgenic plants that are not noxious weeds, are not easily disseminated and are not detrimental to the environment. BL2-P is recommended for transgenic plants that are noxious weeds or can interbreed with noxious weeds, transgenic plants that contain the genome of an non-exotic infectious agent, and transgenic plants or plant pathogens that may have a detrimental impact to the environment. 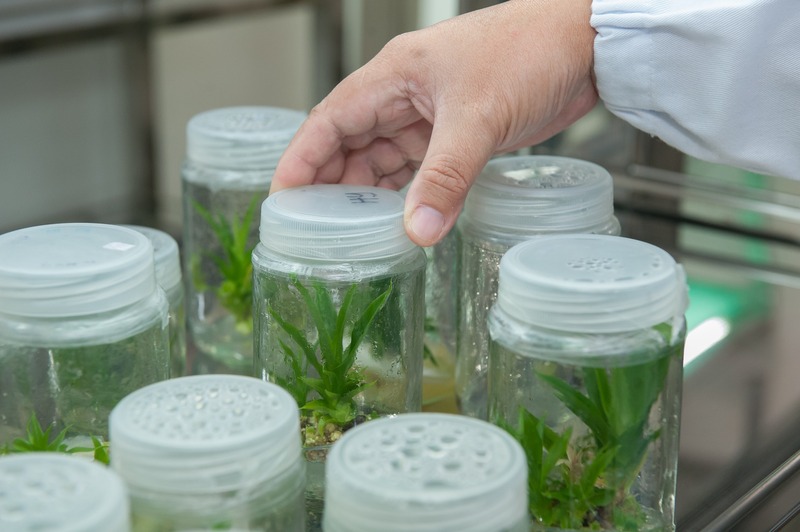 For transgenic plant research, standard operating procedures (SOPs) that describe methods to contain plants, associated organisms and waste are required. Field work with transgenic plants requires permits from APHIS prior to the start of work. If you have any plans to do field work with genetically engineered plants or associated organisms, inquire about permits first. Plant waste, including all transgenic plants, seeds, spores, plant debris and soil materials, and any plants exposed to plant pathogens are considered biohazardous waste and must be inactivated prior to disposal. Refer to Biohazardous Waste for more information on methods of decontamination and disposal. Regulations and guidance for the importation, interstate movement, and release into the environment of genetically engineered organisms are implemented by the Biotechnology Regulatory Services within USDA-APHIS. USDA-APHIS also regulates and guides the movement of certain non-genetically engineered plants, pathogens, and related insects and microbes. Products of biotechnology are also regulated by the Environmental Protection Agency (EPA) and the Food and Drug Administration (FDA) under the Coordinated Framework for the Regulation of Biotechnology. Depending on the type of research and whether it involves plants, plant pathogens, plant-associated organisms, noxious weeds or invasive plants, and other biological agents, regulations from the federal to local level may apply. Biological Use Authorization (BUA) is required for all plant research involving recombinant or synthetic nucleic acids (DNA/RNA). Regulations governing plant research depend on the type of research, and whether plants, plant pathogens, plant-associated arthropods, noxious weeds, invasive plants, or other biological agents are used. APHIS permits may be required. Do I need an APHIS permit for my research? The Principal Investigator is responsible for applying for and obtaining required permits. Due to the complexity of the APHIS permitting process, you should inquire directly with USDA-APHIS to determine if a permit is required for your research. See USDA-APHIS Permits and Certifications for more information.